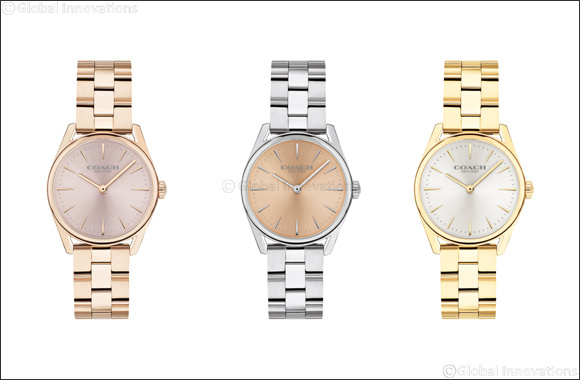 Dubai, UAE, January 15, 2019: These timepieces from COACH's The Preston collection, it’s designed with an elegant pick for every day. The watch has been Designed with a classical face, finished with three type of bracelet a pale gold-tone bracelet, stainless steel bracelet and a gold-tone bracelet. The watch has been built with mineral crystal and a quartz movement and is water resistant up to 99 feet. The Preston collection is priced at AED 795 and is available at all Rivoli stores and Hour Choice across the UAE.